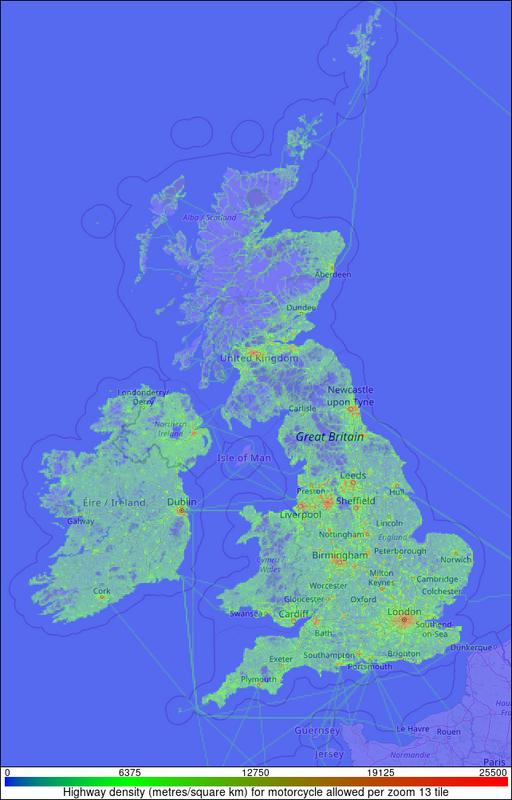 This image shows the density of highways that allow transport of type Motorcycle in the Routino UK example database generated from the OpenStreetMap data for the UK. The locations are mapped into a zoom level 13 map tile (2x2 pixels on this scale) and the colour indicates the density of the allowed highways measured in metres of highway per square kilometre within the tile. Clicking on the map will display the zoom 13 map tile in another window.